Time is a precious commodity, especially if you're a system administrator. No other job pulls people in so many directions at once. Users interrupt you constantly with requests, preventing you from getting anything done. Your managers want you to get long-term projects done but flood you with requests for quick-fixes that prevent you from ever getting to those long-term projects. But the pressure is on you to produce and it only increases with time. What do you do? The answer is time management. And not just any time management theory--you want Time Management for System Administrators, to be exact. With keen insights into the challenges you face as a sys admin, bestselling author Thomas Limoncelli has put together a collection of tips and techniques that will help you cultivate the time management skills you need to flourish as a system administrator. Time Management for System Administrators understands that an Sys Admin often has competing goals: the concurrent responsibilities of working on large projects and taking care of a user's needs. That's why it focuses on strategies that help you work through daily tasks, yet still allow you to handle critical situations that inevitably arise. What's more, the book doesn't confine itself to just the work environment, either. It also offers tips on how to apply these time management tools to your social life. It's the first step to a more productive, happier you. 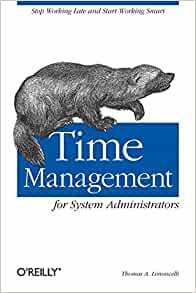 Start reading Time Management for System Administrators on your Kindle in under a minute. 5.0 out of 5 starsI Demand An Update! I finally purchased and re-read this old favorite and, even though the book came out over a decade ago, it is still relevant and filled with good advice for the IT professional. While the basic strategies can be captured in one sentence - fully track your schedule in an organizer and document important procedures in a wiki - it is the subtle nuances, the feelings of shared pain, and the inspirational epilogue that make this book a must-read and potentially a life-changer for sysadmins and similar sufferers. That said, it is now 2017. I cannot in good conscience gift my colleagues a book that mentions Palm Pilots in every chapter. I would love to see the ubiquitous computing technologies that have emerged since this book was published examined by the author (even if, like him, I still prefer pen and paper). Mr. Limoncelli, I know YOU have the free time... write a second edition and I'll preorder it now! Have owned my copy of this book from Amazon for more than 6 years and I like to trot it out every couple of years for a reread (it's that useful!). After putting Limoncelli's ideas into practice I found that my effectiveness and appearance of competency at work increased. The book is a good investment for any entry or mid level computer scientist, not just systems administrators. 1. Keep all your time management stuff in one place - your work and personal appointments, to do list, calendar, goals, etc. 2. 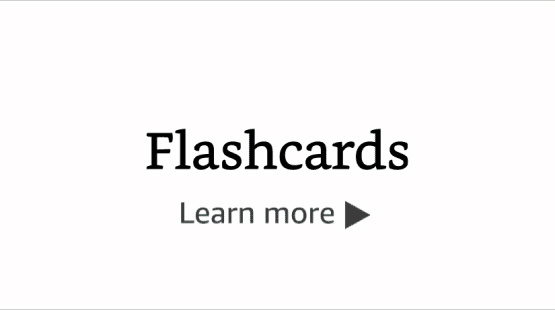 Focus on the current task; use external storage to record/remember everything else. 3. Develop routines for things so there are no oopsies or important items left undone or forgotten. A good routine is to start each day with our to do list, estimate duration to complete each task, prioritize the tasks, schedule them to be completed, and work the schedule. 4. Pre-compile decisions by developing habits and mantras. Habits such as using the first quiet hour of the day to work projects, or to put gas in your car on the same day every week. 5. Maintain focus during work tasks- do not allow distractions like email, internet surfing, IM, etc to derail you. Study in a quiet environment whenever possible. I liked this book. The first few chapters are an excellent introduction to how to think about modern, tech-oriented office work. The middle part covers the author's personal time management system. This section is fine, but I found the author's system mostly interchangeable with other well-known time management systems. I skimmed this and wished I had skipped it. The end of the book has specific, technology-focused advice, including advice on automating work. This part shines. Limoncelli should expand the automation chapter into its own book. It changed how I do my job (software development) and how I think about labor-saving technologies. Really great stuff. There is a jarring off-color joke partway through the book that keeps me from recommending it to coworkers. I wish the editor had cut it and I hope O'Reilly excises it from future editions. 5.0 out of 5 starsThis is a life-saving book. "Drilling down from 'goals' to 'What are you doing Monday?' was an eye opener in terms of showing me how this sort of thing fits together. The goals exercise was the best part of it. It made the rest of the concepts real. I've even suggested to my boss that the sysadmin group do something similar at one of our staff meetings." L.G. "I think that 'The Cycle' system is a pretty comprehensive approach to time planning, but very simple concept to implement. And it looks very practical in its approach. I definitely plan to follow up on it and give it a try right away. One thing it really encourages you to be very strategic in your thinking, which also helps with achieving long term goals. Putting some time to think about the important long term goals both personal and professional was a real eye opening for me, since I pretty much discovered that I am spending a lot of time and effort on things that are not important from the long term goal perspective. I liked also the attitude towards the vacation time -- you know as a sysadmin you always feel guilty for taking too much vacation time in one lump, now I will feel guilty for not taking vacation time instead :-) It also helps to encourage your colleagues to take on more ownership and responsibilities over company's infrastructure while you are on vacation." O.B.